I came to the realization earlier this week as I was reviewing my year’s writing goals that I needed to spend some time focusing on Rigel and Freedom Squad. Currently, there are over 200,000 words written on the character, spread across three novels and one novella. I’ve asked Harper Voyager about their interest in her and her team, but I’m still awaiting a reply. I keep reading that this is the time of the female superhero. As Rigel was originally created nearly 27 years ago, I think she’s ready to burst onto the scene. She even has a fantastic piece of cover art ready to go. Most importantly, she’s meant to be an inspiration to kids like my daughter. While she’s a legacy hero, she’s not a Supergirl or Batgirl, with the powers and and identity of another character. 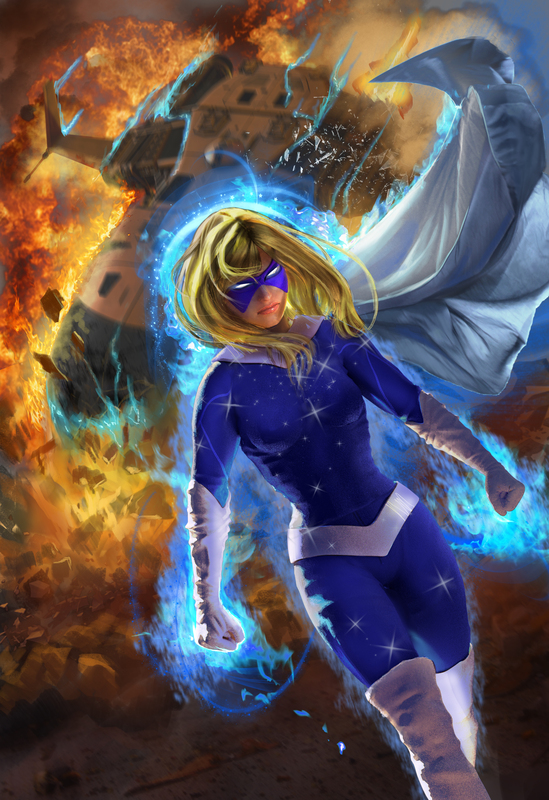 One of her story arcs is her effort to separate herself from the legacy of her father, Orion, and prove herself on her own, while continuing to uphold her father’s ideals. I’m currently undergoing a rework of all of the Rigel novels, with some assistance from the capable Heather Curatola (the original creator of Rigel) and my Jack Heckel co-author, John Peck. Erica Sampson sat in a small hotel room in the Superior City suburb of Appleton. It was a medium quality room in a medium quality hotel. Her cover was that she was in town visiting her mother. Her mother’s home was a safe house filled with normal looking people who would protect her and smuggle her back to Washington, DC at a moment’s notice. Of course, they didn’t know anything. Erica stared at her smartphone. She needed to make one call and then report to Director Lieber. She hated this assignment, which impressed her, since it was going well. As I struggle at 37,000 words to reach 50,000 by Sunday night, I thought I’d post Chapter 6 for anyone who wants to do some long weekend reading. Look for a few more posts in the next couple of days, especially since Happily Never After has been released (written with my co-author John Peck under the penname Jack Heckel). Happy Thanksgiving to everyone in the U.S.! Less than an hour later, Rigel was in the monitor room, scanning through images of women that fit the mental picture she had obtained from Snowfall, when Nightstar arrived with Protector. “Sure,” he said. His tone made Rigel stop her scan. After several sun salutations, the headache faded. By the time she got to the scorpion pose that she liked, it was gone completely. As she rolled up the mat, she contemplated her powers. Using the telepathy always exhausted her, but she felt better after doing yoga. Maybe it was just a matter of readjusting her mind. Telepathy was reaching out, but perhaps concentrating on her muscles, her breathing and her body was like bringing her mind back home. It seemed like a reasonable concept. Rigel would rather have been fighting a dozen supervillains instead of facing the high-rise inferno in front of her. Flashing red lights and sirens surrounded her as dozens of firefighters worked together. The police were on the scene as well, keeping crowds and the press back. There were so many distractions, but she had to keep working. She closed her eyes and focused, using her yoga breathing to stay calm, breathing in through the nose and out through the nose. As she relaxed her body, her mind continued to race. Using her telepathy, she was trying to coordinate her team amidst the flames and smoke while attempting to locate the minds of anyone trapped inside. Protector was staying close to a group of firefighters inside the building, using his shield to protect them not only from the debris, but from the heat and even the poisonous gases. She shook her head slightly, as she recalled him telling her that he had no powers. Nightstar had teleported to a higher floor where Rigel had sensed a mind. Although he appeared human, Nightstar didn’t need to breathe the way most people did. She vaguely wondered about what his world must have been like, before returning to her focus. He was almost in the right place. Nightstar, the person should be through the next door on the left. Agent Erica Sampson felt her stomach twist. Although she’d been on plenty of dangerous assignments even to parts of the world where just being a woman put you in jeopardy, meetings made her nervous. The fact that her meeting was in a top secret bunker buried beneath Washington, DC only made it worse. She reminded herself that her invitation was a compliment. A couple of guards, tough-looking men that stood at attention stiffly enough to proclaim themselves as ex-military, stood in front of what looked to Erica to be a vault door. They checked her badge, before letting her step over to the computerized handprint and retina scanners on the wall next to the door. Something about the men reassured her. Computers could be hacked; humans couldn’t. Or at least, far fewer people could hack them. With a metallic clang and a whoosh of air, the door swung partially open. She stepped inside to find herself not in a meeting room, but in something that resembled an airlock or decontamination chamber. She faced another metal door, sealed shut in front of her. After the door behind her closed, the hair on the back of her neck rose slightly. I’ve decided that I’m going to do a Freedom Squad novel for Nanowrimo. I’m still working out the details, but it got me thinking about superheroes and my current favorite superhero tv show, The Flash, on CW. Welcome to my first guest post! I’m honored to have my friend and co-contributor to HeroNet Files, Wayland Smith visiting. Without anything further, here’s Wayland. Howdy. I’m very excited to be a guest star here on Harry’s blog. Harry, in addition to being a good friend of many years, is one of my co-writers in HeroNet Files Book 1. HeroNet is a concept I created years ago in the process of fleshing out a shared world of superheroes that Harry and I have worked on together. HeroNet is an online database that heroes can access for information on various villains, groups, ideas on how to fight bad guys, and even ways to contact friendly scientists, gadgeteers, and medics. Argent, one of the two main characters in this story, has a long history in many different incarnations reaching back to 1988. I guess that means he can vote and legally buy a drink now. He’s a highly skilled fighter with a major attitude problem. In fact, his brief time on a hero team came to an end because of that, but that’s another story. While he’s very rough around the edges, Argent is definitely a good guy. He’d laugh at being called a hero, but he’s on the streets almost every night, fighting the good fight and protecting the innocent. The fact that he happens to really enjoy a good fight is just a bonus. Cobalt Rose is a novice hero, and Hunt the Tiger is mostly from her viewpoint. She’s something of an action junkie, and accidentally discovered the rush from protecting people. The story opens with her debut in costume, which, in the grand tradition of heroic first appearances, doesn’t quite go as planned. It’s a fun story, or at least I think so, with some twists and turns along the way. HeroNet Files, Book 1, is just the beginning of stories set in this world. There will be a Book 2 at the very least, which Harry, Dara, and I are already planning, possibly with some new authors contributing. 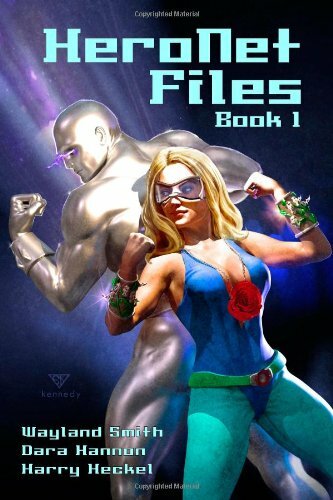 I also have at least one novel finished about Wildside, Inc, a band of superhuman mercenaries (don’t call them heroes! ), and we’re looking into additional projects. For myself, I have a novel out called In My Brother’s Name, about a terrorist attack on Washington, DC, that comes about because of a mistake someone made that they just can’t admit to. Things take a series of dark turns from there. 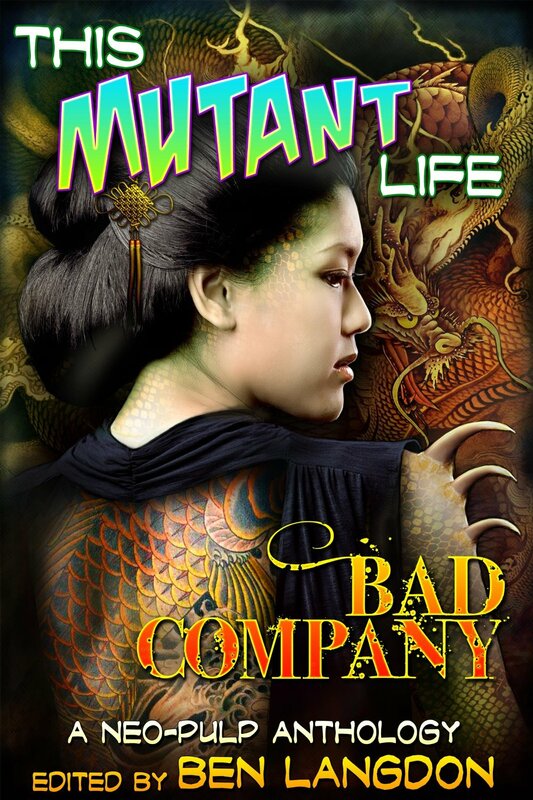 I also have stories in a few different anthologies: This Mutant Life: Bad Company, another collection of superhuman stories, and Memorial Day – my story in that one shares the world of Wildside and Argent and Cobalt Rose. I also have a story in SNAFU: Tales of Military History, which is coming out later this year. As you can probably tell, I’m a big fan of heroes. I write reviews of comic books for DCCollectors.com, and post about more general heroic topics on my website, watchtowermansion.com. I occasionally contribute to unleadedwriting.com, a group blog about writing in general. Thanks to Harry for letting me come by and talk a bit, and thanks to you for reading. In another section of Ace’s under-mall base, Defiance was struggling to defeat his invisible foes. A metal wrap surrounded him and it was being using to spin him around while thousands of volts of electricity surged through him. He couldn’t keep himself oriented enough to find a way to fight back. Nightstar watched Defiance spin even as he dodged energy blasts and missiles. Fortunately, he had a psychic sense that made him aware of dangers and tended to have an unnatural luck in these matters. Coupled with the ability to teleport and lots of combat training, he was still standing. Velocity had been the first victim of invisible electrical enemies, smashing into an invisible force field at full speed. Nightstar had gotten him out to the parking lot via psychic sword teleport. Solaria had fallen to a sonic blast next, but Nightstar had retrieved her as well. The only other member of his team standing was Defiance. Sorry about the delay in posting. I’m getting myself back together after Nano. More on that in an upcoming post. Rigel stood up and went over to the Freedom Squad computer. She closed her eyes, feeling the location and its surroundings. She opened a map site and moved the maps until she was sure that she had the right place. “He’s there, just outside of town, at that mall,” she said. She that knew he had to know that she had detected him. It all somehow seemed too easy. She didn’t like it.